These hand sanitizer wipes provide all the germ-killing benefits of Purell brand sanitizer, America’s #1 instant hand sanitizer, in a non-linting, durable wipe. 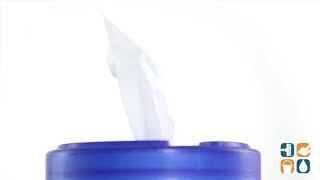 Purell wipes are textured for superior cleaning to effectively sanitize hands while wiping away light soils and dirt. These hand sanitizer wipes kill 99.99% of most common germs that may cause illness. Convenient, easy to use and ideal for offices, restaurants, health clubs and many other locations where quick hand sanitizing is a priority. 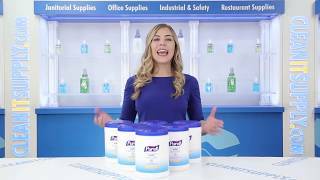 Purell bulk hand sanitize wipes come with 270 wipes per canister and 6 canisters per carton so you can stock up and save!